Where do I find my Cloud/Appliance security token? 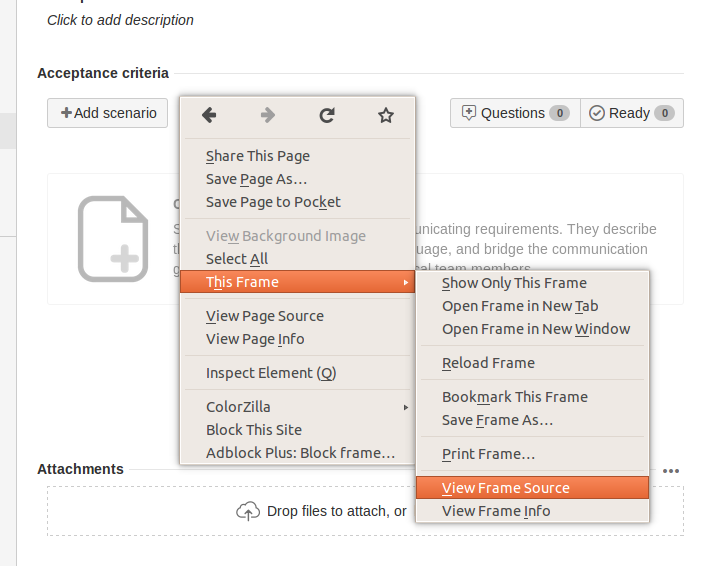 Right click on a Behave Pro frame such as the Acceptance criteria that appears on each issue view, and select Frame > View frame source. This will display the HTML source of the Behave Pro frame. Located within the source is the security token required by the migration tool to authenticate. 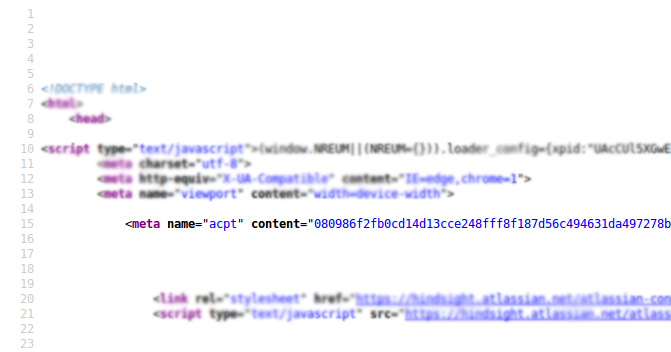 Near the top of the source you’ll see multiple <meta> lines, you need to identify the one with the name attribute of “acpt” and copy the entire contents of the “content” attribute. Ensure to copy the whole line, it is often too long to display without scrolling horizontally. Copy the entire “content” attribute contents inside the quotes and store it somewhere safe ready for the next steps. Where do I find my Atlassian Cookie? The Atlassian Cookie is also a security token that we need to access Cloud/Appliance, this can be found on any request made from your browser to Behave Pro. Load the Specifications page with the Network tab of your browsers developer tools open (you may need to reload once the tools are open). Next, filter the requests with the search term “features”; this will allow you to locate the request for features to Cloud/Appliance which also happens to contain the cookie token we need. Select the request and scroll through the request information until you see the Cookie property within the request headers. You’ll be prompted for your Behave Pro Appliance URL, enter or paste this in full and press enter to continue. Next you’ll be prompted for the security tokens that you saved earlier from the page source, paste this into the terminal and press enter to continue. You’ll then be prompted for your destination Jira Server URL, this is the instance where the Behave Pro addon has been installed, and where you’re migrating your data to. Enter this in full and press enter to continue. Finally you’ll be prompted individually for your Jira credentials (username and password), these are used to login to Jira and upload the data you’re migrating. They are not stored or saved anywhere. Enter your username and password separately and press enter after each to continue to the next step. Once you’ve submitted your Jira credentials the migrator will begin saving your features and scenarios from your Cloud/Appliance instance and uploading them to the destination Jira Server instance. Follow the progress bar and wait for the success message - this may take some time.